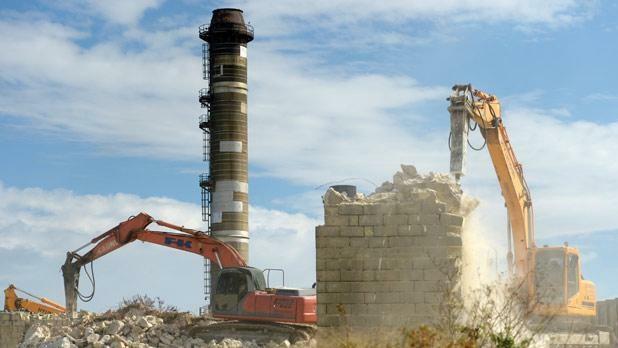 The new gas power station is not yet fully up and running, but the Marsa Power Station has now finally been closed and is being demolished. The new Sicily interconnector and increased capacity at Delimara have made it redundant. The dismantling of the Marsa plant has (political) symbolic importance, but this is a short-sighted goal. The Kamra tal-Periti (Chamber of Architects) took a wider view and intervened last week to call for the preservation of parts of the complex for their historic value. The future use of the site has not yet been decided anyway, so demolition is premature and unnecessary. There are many examples of industrial areas being converted sensitively to preserve the history of the place, while still putting them to new uses. Liverpool and Manchester in the UK have created entire new office and commercial districts in their 19th-century warehouses. The Tate Modern in London was a power station. The Valletta Waterfront was once a set of functional 18th-century warehouses. The 19th-century docks at Cospicua are being turned into a university. Here one of the best examples of good practice by a Maltese company has been set by Farsons, who have long appreciated the importance of their old brewhouse in Mriehel. Parts of this building are now scheduled. On their own initiative, the Farsons Foundation had even organized a seminar on the future of industrial heritage a couple of years ago. The proceedings of the conference are published, edited by heritage experts JoAnn Cassar and Reuben Grima. Farsons have now set another good example by steering away from high-rise in their new project at Mriehel, instead proposing a set of five-storey office blocks, with public spaces in between. Mriehel is totally unsuited for high-rise as it is on high ground in the centre of the island and tall buildings there will be visible from far, also blocking the historic line of vision between Mdina and Valletta. Well done to Farsons for keeping their Mrieħel buildings reasonably low and for showing that there are different ways to do things – if only other businesses and architects in the area could have the same, more nuanced approach to context, instead of inflicting massive carbuncles on the island as their legacy for the future. It was also good to see that the Planning Authority recently responded positively to calls for part of the old MMU milk factory at Xewkija in Gozo to be protected. This building provides an example of the influence of Modernism in Maltese architecture in the 1950s. Aesthetics is however not the only reason why some industrial buildings merit preservation. Industrial heritage is also the history of people and of the changing economy. It explains the development of society over the centuries. Surely there are better and more imaginative options that just razing it to the ground to create yet more nondescript office blocks and shops. Public attitudes are however crucial for heritage assets to be properly valued. Industrial heritage is not yet widely appreciated. In such a specialized and underappreciated subject, it is partly up to ‘experts’ to set the tone. Besides the Kamra tal-Periti and others with a respected voice in the field, let’s hear the opinions of the Superintendence for Cultural Heritage, the Planning Authority and Heritage Malta on this.